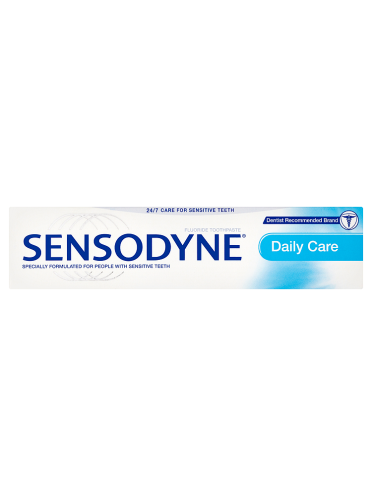 Sensodyne Daily Care is a low abrasion, fluoride containing toothpaste that, when used twice a day, provides 24/7 care for sensitive teeth. 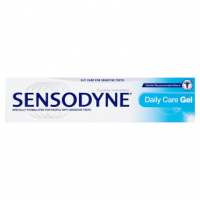 Why use Sensodyne Daily Care? 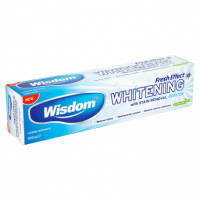 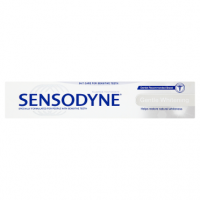 Sensodyne Daily Care toothpaste has been specially formulated for people with sensitive teeth. 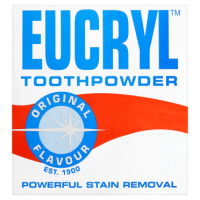 It provides all the benefits of a regular toothpaste and does not contain the detergent SLS (Sodium Lauryl Sulfate). With regular brushing, Sensodyne Daily Care helps strengthen teeth, fights tooth decay and promotes gum health.